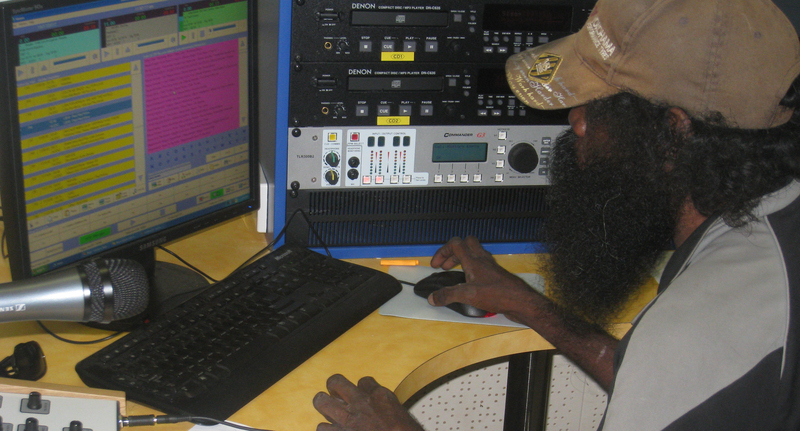 QRAM partnered with AFTRS: the Australian Film Television and Radio School, to deliver radio training in Pormpuraaw recently. Gilmore Johnston from QRAM and Carly Wallace, and Martin Corban from AFTRS delivered the training. AFTRS is Australia’s national school for the education and development of creative talent for the arts and broadcast industries through its award courses. AFTRS reputation for outcomes in training can be measured by the success rate of people going from the training school into the commercial world and ABC. AFTRS trained people were 26 of the finalists in the 2012 Australian Commercial Radio Awards were former students of AFTRS. These finalists were from all Australian States and Territories. AFTRS Director Radio, Mark Collier, says “the result is particularly pleasing as finalists come from a broad range of categories reflective of AFTRS Radio courses (source: Jocks Journal) The Stevens Review into the Government’s investment in Indigenous broadcasting noted that AFTRS trained students had better oportunities of success in mainstream media. AFTRS recently employed an Indigenous training officer to develop AFTRS network with students and local communities to offer specialist training. QRAM uses a range of training providers that fit in with the strategic training direction of the QRAM. Organisations such as Radio Adelaide, TNQ TAFE, CAAMA, AFTRS, and Screen Australia are working with media enterprises to provide opportunities for Indigenous young people. ← What’s this Black Jocks?